Habitat For Horses / breaking / 23 Thoroughbred Deaths Force Santa Anita To Change. Will The Racing Industry Follow? The famed horse racing track, Santa Anita Park, is up and running after being closed for much of last month following a spike in racehorse deaths. Since the end of December 2018, 23 thoroughbreds have died — mostly due to injuries from racing or training. The fatalities have forced the horse racing industry, and the public, to take a hard look at the sport and some of the issues that have been debated for years: Are the economics of horse racing taking priority over the animals’ health and welfare? Should racehorses be medicated and, if so, how much? In mid-March, U.S. lawmakers introduced a bill aimed at improving horse-racing safety by requiring a uniform anti-doping and medication control program. Medicating thoroughbreds has been a long-running controversy in the U.S. — some medications mask symptoms which critics say can lead to catastrophic horse injuries. 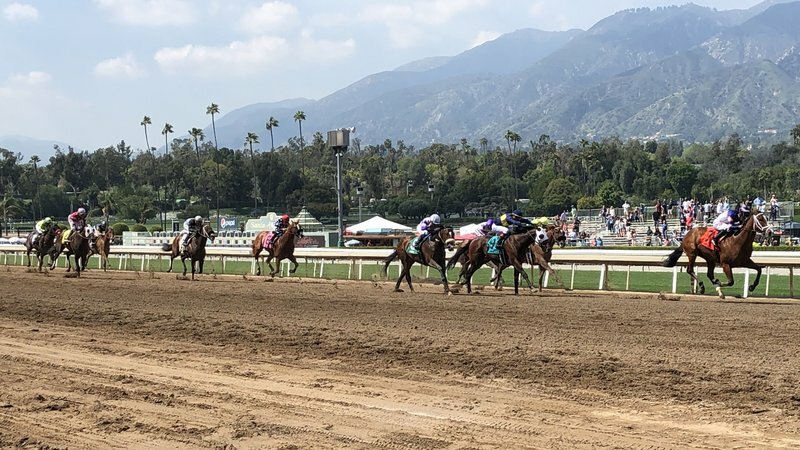 Meanwhile, the Los Angeles County District Attorney’s Office has assigned investigators to work with the California Horse Racing Board to try to figure what’s caused the Santa Anita deaths. G-DAMN GAMBLERS!!!!!. SHUT THIS HELL DOWN, NOW!!!!. I think horses are being raced at least a year earlier than they should be raced. Two-year-olds are routinely raced, and they are not even fully grown yet. Three-year-olds are likewise too young to have the strength and smarts it takes to win consistently. As an example, Zenyatta didn’t begin racing until the end of her third year. It was as a 4 and 5-year-old that she really starred. I am in favor of beginning to race later than currently practiced. It goes without saying that horses should not be doped, nor should they be raced with injuries. Also, the track surface may be a factor which should be thoroughly investigated.